I have a pile of quilts that I have almost finished quilting, just a few more finishing touches. Since I can’t showcase them here yet, I will show the two projects that are just getting started, always a fun part of the process. 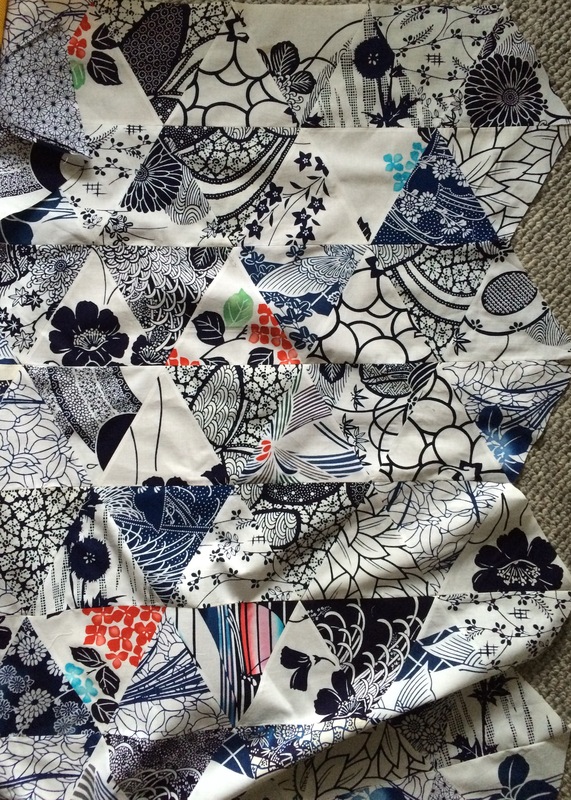 The first is another of the Pyramid block quilts that I really love, having made a lot of them using many different sized triangles. I don’t know where this one will end up design-wise, but I know this is how I wanted this part to be—-a big jumble of all these yukata fabrics smashed together. Half triangles will finish off the ends of the rows so that this center will be a straight rectangle. What comes next is TBD. 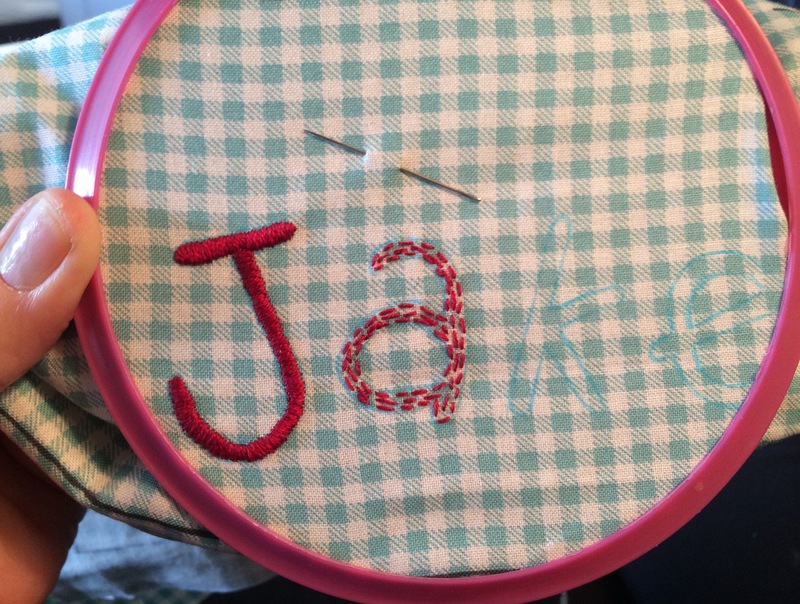 And the second WIP (which will be immediately followed by another similar one) is the beginning of the lettering on a Christmas stocking for one of the two new kitties in my extended family. “J” and padding for “a” are completed. These are so fun to make. Stay tuned to see the finished products; I think they will be special.